Dell, as a part of its three-city PolicyHack series hosted an interactive hackathon, where teachers focused on their learning journey. In a first of its kind hackathon for teachers, Dell has partnered with the UNESCO Mahatma Gandhi Institute of Education for Peace and Sustainable Development (MGIEP) and Ignus, to create a platform where teachers, school representatives and a cross-sectional group experts related to education can interact with each other. The maiden PolicyHackTM in India was conducted at two levels: over 80 schools Pan-India shared their statements of purpose. Basis the evaluation parameters, top 20 shortlisted schools presented their ideas to the Jury, which comprised of Sanjay Awasthi, Member Secretary National Council for Teacher Education, Rajive Gulati, Head, Start-Up Incubator, HARTRON, Prof. Dr. Anantha Duraiappah, Director, UNESCO MGIEP, Subir Shukla, Founder, Ignus, Ajay Kaul, Director and GM, Head Government Business, Dell EMC and Ritu Gupta, Director, Consumer India, Dell. 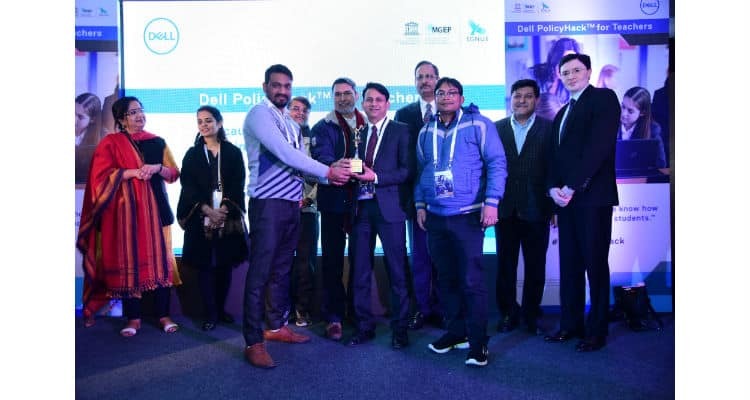 Dell plans to present three more PolicyHacks in other regions of the country in 2019, in an endeavour to foster and cultivate innovative ideas on how teachers can leverage technology for themselves and for the benefit of their students. PolicyHack is a global forum of Public Policy discussions, curated under the umbrella of Realizing 2030 – wherein Dell strives to explore and realize the true potential of technology to drive human progress. The objective of the PolicyHack is to enable an ecosystem-wide understanding of key problems that impact the learning journey of a teacher. The maiden hackathon for teachers was won by the Government Boys Senior Secondary School No 1 Ghonda, Delhi who presented the most promising and innovative ideas and solutions. The teams who were runners up were Indraprastha International School, Gyan Devi Salwan Public School and Dr. Sampuranand SKV-1. Dell launches India’s first PolicyHack for teachers 0 out of 5 based on 0 ratings. 0 user reviews.